A Colorado native, I am a professional hydrogeologist and #1 Denver Post bestselling, award-winning historical fiction author. My most recent books include my World War Two Series (Bodyguard of Deception, Altar of Resistance, Spies of the Midnight Sun, and Lions of the Desert) and my pirate novel Blackbeard: The Birth of America. 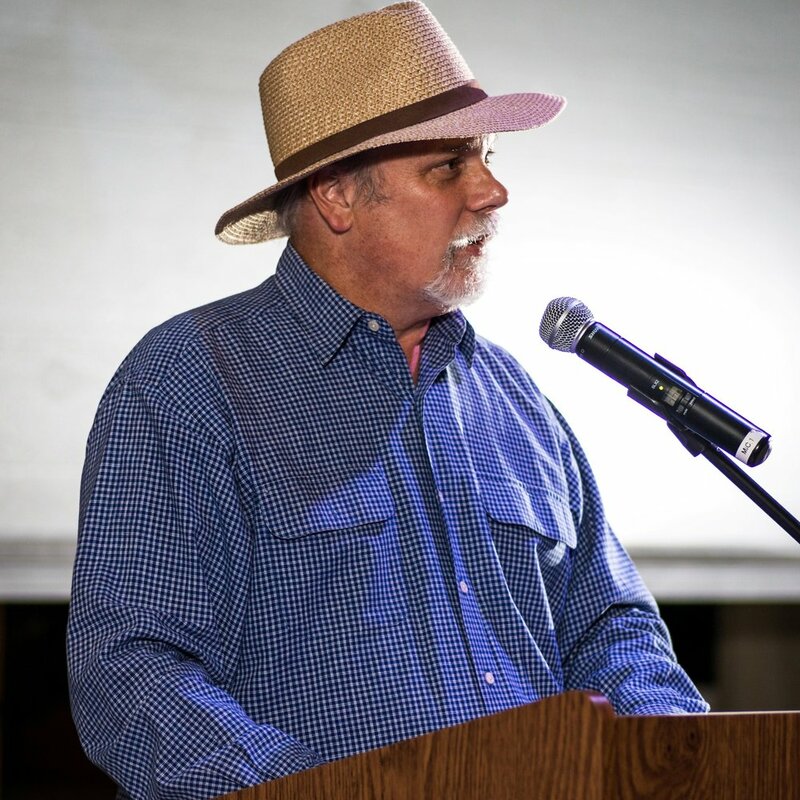 I work by day as a VP-Principal Hydrogeologist and Expert Witness with an environmental consulting firm in Boulder, CO, and by night as a spinner of historical suspense yarns. I am an avid downhill skier and lacrosse player (I played in the 2014 Lacrosse World Games), and I enjoy literary and commercial fiction as well as non-fiction books on the Golden Age of Piracy (I am the ninth great-grandson of the privateer-turned-pirate Captain Kidd), Plains Indian Wars, and World War II. These subjects inevitably find their way into my suspense novels. My novels have been #1 Denver Post bestsellers, received multiple national book awards (Foreword Reviews Book of the Year, American Book Fest Best Book, USA Best Book, Beverly Hills, IPPY, Next Generation Indie, Colorado Book Awards), and garnered glowing reviews from #1 bestseller James Patterson, Kirkus, and Foreword Reviews (5 Stars). 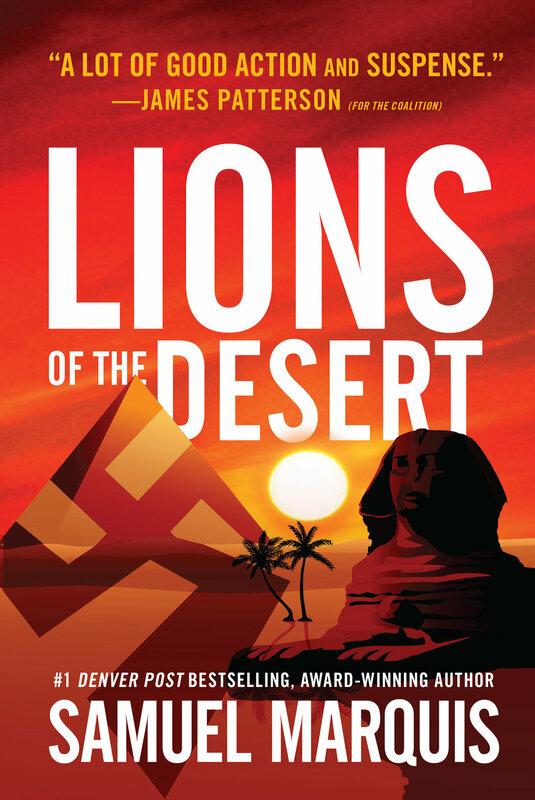 Critics and book reviewers have compared Lions of the Desert and my other WWII books to the epic historical novels of Tom Clancy, John le Carré, Ken Follett, Herman Wouk, Daniel Silva, Len Deighton, and Alan Furst. I wish all Indies the best of luck in getting their works out to the world and contact me at my email address below for advice on Indie publishing. I will be more than happy to help. For those interested, my website is samuelmarquisbooks.com and for publicity inquiries, please contact JKSCommunications at info@jkscommunications.com. 2. Are there any people you feel need a shout out for supporting you? Great question, Ann. And the answer is I’m starting with you. As stunning as it may sound, you were the very first reviewer I ever had. By fate or happenstance, you reviewed my debut novel, The Devil’s Brigade, based on a Goodreads Giveaway. Though you only gave me four stars out of five, thanks to your tough love the novel ended up being a #1 Denver Post bestselling novel, beating out The Martian, which came in #2. My other shout-outs go to my professional book editor, Christine Bilello, who also happens to be my wife, my two former literary agents (Cherry Weiner and James Fitzgerald Literary Agencies), who thoroughly vetted and edited my novels, and my outstanding team of reviewers led by Colorado Governor Roy Romer, Fred Taylor, Billy Eberhart, Mo Shafroth, Peter Frautschi, John Welch, Toni Conte Augusta Francis, Dawn Ezzo Roseman, and Peter Brooke. They have all been instrumental in supporting my books. 3. What made you decide to become an author? I have always been an author. I wrote my first novel in high school (don’t ask), published my Master’s Thesis in the American Association of Petroleum Geologist Bulletin in my mid-twenties (believe me, that actually means something for us nerdy geologists), and have published more than 25 professional papers on esoteric scientific subjects that would put you and three-quarters of the denizens of the planet asleep in less than five minutes. And now I have several bestsellers, and yet I will probably never be able to quit my day job. Thanks a lot, Ann. If only you had given me a five-star review. 4. If you could bring any character to life in the real world, which one would it be and why? Jay Gatsby. Because Fitzgerald didn’t flesh the heroic, misunderstood character out enough, and I want to have a glass of Veuve Clicquot champagne with him and get to know him better. 5. What do you think your strengths are as a writer? What is it about your books that will draw your audience in? My individuality, passion for American and world history, and meticulous attention to historical accuracy. My novels can only be written by me, and are not dumbed-down for readers. 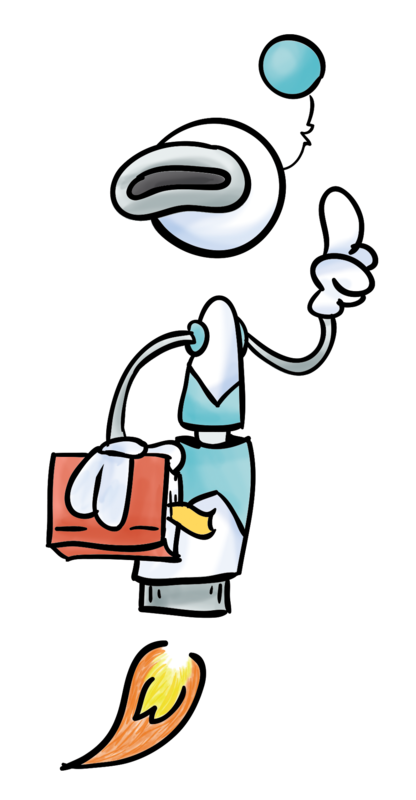 I don’t write to make money, or please my agent or publisher. I write to tell great stories and leave something behind—like the cave paintings of Lascaux. I may not succeed all the time, but the bottom line is I do it for only one reason: to tell a great story. Historical fiction. I like my WWII suspense novels the best, though my fans seem to like my Blackbeard book and modern-day suspense books just as much. 7. What are the biggest lessons you’ve learned so far during your ambitious and successful publishing journey? There is only one reason to be a historical fiction writer, and that’s to write great stories that resonate, are historically accurate, and stand the test of time. Unless you’re a mega-bestselling author, there is certainly no reason to do it for the money. Telling compelling stories, then, is the sole justifiable reason to write novels that meets every litmus test. If you’re doing it for any other reason, you’re in the wrong business. It’s about the art of great storytelling and nothing else. 8. You mentioned that you are especially interested in military history and intelligence, specifically related to World War II and the Golden Age of Piracy. What is it about those subjects that fascinate you, and does that fascination influence your work? The short answer is that I’ve always loved history, especially the underdogs and iconoclasts of American history. I grew up watching classic WWII movies and Westerns with my dad like The Great Escape, The Good, the Bad, and the Ugly, The Dirty Dozen, The Wild Bunch, Where Eagles Dare, and Patton. These movies had a profound impact on me and the stories I have come to tell. Because of this, it should come as no surprise that my books have been compared to Herman Wouk’s The Winds of War, The Great Escape, Public Enemies, The Day of the Jackal, old-time Westerns, and the espionage novels of John le Carré, Daniel Silva, Ken Follett, and Tom Clancy. 9. Who are your greatest literary influences? In terms of literature and literary fiction, I am a great admirer of Hawthorne, Fitzgerald, Hemingway, Steinbeck, A.B. Guthrie, Jr., Michael Shaara, Larry McMurtry, E.L. Doctorow, and Charles Frazier. For non-fiction my roster of greats includes Erik Larson, Robert Utley, Stephen Ambrose, Kevin Duffus, Shelby Foote, Ben Macintyre, S.C. Gwynne, and Hampton Sides. My favorite commercial fiction writers are Frederick Forsyth, Gore Vidal, James Clavell, Dennis Lehane, Barry Eisler, Daniel Silva, Preston and Child, Ken Follett, Stephen Hunter, and Richard North Patterson. I tend to gravitate towards authors who tell stories in the same way I do and to subject matter dealing with my areas of research interest in WWII, American and European history, and espionage.